Love is always a matter of finding the perfect match. This basically involves soul searching for the right individual that you can settle with. 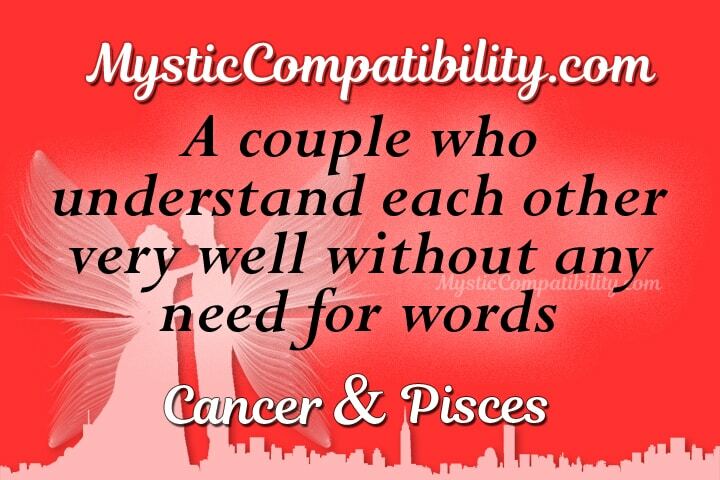 Cancer Pisces compatibility is a great match keeping in mind that lovers have a lot in common. What makes things very possible with Cancer Pisces in love is that they both have intense feelings for each other. Romance is also an aspect that they both love to display. This creates a good environment for love to blossom. Here are some of the advantages and disadvantages to expect from this couple. Mutual understanding is an issue that is hard to come by in any relationship. In fact, this is one of the things that affects the way lovers indulge. Well, Cancer dating Pisces means that individuals would always understand each other. This is one of the characteristics of Pisces. Cancer is attracted to this and they appreciate the fact that Pisces are passionate and understanding. What could go wrong in Cancer Pisces compatibility where understanding is what drives them? Intuition also holds this relationship in place. Lovers have a deep feeling that they are meant for each other. This is the feeling that comes from both ends. No matter how hard Cancer Pisces compatibility might seem, they will find a way out. This implies that lovers would not be afraid of what people might say about them. They are in this relationship together and they will fight their troubles using the strong bond that they boast of. 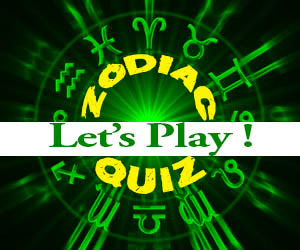 Their sensitivity might also be regarded as a negative issue in Cancer Pisces compatibility. This is certainly not the case. On the contrary, the sheer fact that both lovers are quite sensitive even makes things better for them. For example, on one end Cancer understands clearly the feeling that one goes through when they are hurt. This means that they would not want their partners to go through such a feeling. The same notion lies in the mind of Pisces. The mutual respect for each other’s feelings makes Cancer Pisces love compatibility work. Test your cosmic love. In terms of communication, Cancer Pisces relationship is not boring. The essence of communication in a relationship is brought about by Pisces. They know what to talk about whenever Cancer is moody. Communication also ensures that they find a way of freely expressing what they feel. If such communication is exploited in a positive manner, it means that Cancer would feel motivated. Pisces should try their best not to be blunt when talking to their partners. The beginning might be an issue for Cancer Pisces love compatibility. This is because Cancer demands for security in any relationship that they enter into. Therefore, the cat and mouse game might take too long. Pisces should be patient when this happens. They should simply try to prove to their partners that they have what it takes to meet their homely demands. Their desire for a secure relationship ensures that they only settle for the right person. 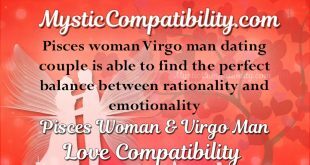 This increases the chances of Cancer Pisces marriage being regarded as ideal. 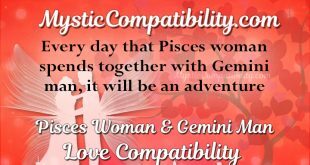 Being a pair from water signs in the zodiac circle, expect Cancer Pisces friendship full of romantic charms. This is the bond where Cancer Pisces in bed surprise each other. When Cancer is bringing flowers, Pisces would be sending love notes. This is the romantic aspect of this pair that makes it appealing. Lovers have something to look forward to as they live together. 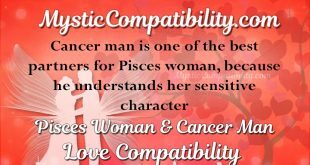 The strong Cancer Pisces marriage compatibility helps them in times of need. For instance, when coping with challenges that might face them along the way, their love for each other would keep them strong. This infers that Cancer Pisces sexuality has a big chance of surviving in the long run. As earlier mentioned, Cancer seeks to settle in a relationship where they are always secure. Financially, this is one of the areas that they would focus on. If Cancer is the man in the relationship, expect them to play their roles fully. As a Pisces lover, you will never have to worry about money. Cancer also likes planning for the future. This gives the Cancer Pisces Compatibility a goal that will drive them to success. This is the perfect match keeping in mind that Pisces will provide the shoulder to lean on when challenges are being faced. The ride might not be smooth all the way for Cancer Pisces compatibility. There are instances where things might not work for Cancer and Pisces compatibility. The difference lies in what the lovers would do to make things work. For example, they can exploit the communication aspect of Pisces to sort out their issues. The worst could easily happen simply because lovers are too emotional. Their emotions might get the better of them. During such occasions, lovers could get heartbroken since they are very fragile. Who knows the decision that Cancer might be taking the moment they find instability issues in their duo? Things are not as bad as it sounds for Cancer Pisces sexuality. They ought to find understanding as the best means of saving their relationship. Test your sexual compatibility. Another characteristic that might make things worse is the fact that Cancer is not as exciting as Pisces expect. Pisces will try to avoid a routine. The notion of going through things over and over again is what they hate most. Well, this is what Cancer would be doing as they try to provide for the family. As such, Pisces could end up feeling neglected and ignored. The Cancer Pisces Love Compatibility stands a good chance of succeeding once Cancer values life more than money. Similarly, Cancer might find it irritating that their partners find no value in money-making. Pisces is never after money. The worst part is that they can never be motivated to seek for money. In the millennia that we are living in, this pair is one that would be filled with numerous arguments. These arguments would revolve around money. Therefore, Pisces would have to compromise on this issue. Living in the real world is what they ought to learn to avoid Cancer Pisces break up. From the look of things Cancer Pisces Love Compatibility could work perfectly for both lovers. This will only happen if they are ready to compromise and find the best waters in them. Coping with challenges ought to be their priority. Cancer should also find a way of taking life easily. Getting too serious over money issues would certainly not make the match an easy one. Their communicative aspect should also ensure that they talk about issues that could negatively affect them. The best thing about this duo is their emotional power for each other. This gives Cancer and Pisces couple have a strong bond that is unbreakable. From Cancers viewpoint, this is the stable relationship that they are always after. If financial issues are working to their favor, then expect love to blossom in this pair. The inspirational nature of Pisces should be seen in this relationship. They should be on the front line advising Cancer about the best business that they should take up. Test your coworker compatibility. Simply stated, Cancer Pisces Compatibility consists of two lovebirds who are completely free to express the feelings that they have for each other. For that reason, the ratings for Cancer Pisces soulmates are definitely high.